Elicitation of Linum album hairy roots by Piriformospora indica cell wall induced the target genes and specific metabolites in phenylpropanoid pathway and shifted the amino acid metabolism toward the phenolic compound production. Plants have evolved complex mechanisms to defend themselves against various biotic stresses. One of these responses is the production of metabolites that act as defense compounds. Manipulation of plant cell cultures by biotic elicitors is a useful strategy for improving the production of valuable secondary metabolites. This study focused on hairy root culture of Linum album, an important source for lignans. 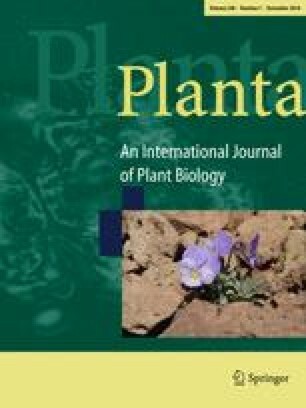 The effects of cell wall elicitor extracted from Piriformospora indica on phenylpropanoid derivatives were evaluated to identify metabolic traits related to biotic stress tolerance. Significant increases in lignin, lignans; lariciresinol, podophyllotoxin, and 6-methoxy podophyllotoxin; phenolic acids: cinnamic acid, ferulic acid, and salicylic acid; flavonoids: myricetin, kaempferol, and diosmin were observed in response to the fungal elicitor. In addition, the gene expression levels of phenylalanine ammonia-lyase, cinnamyl alcohol dehydrogenase, cinnamoyl-CoA reductase, and pinoresinol–lariciresinol reductase significantly increased after elicitation. The composition of free amino acids was altered under the elicitation. Phenylalanine and tyrosine, as precursors of phenylpropanoid metabolites, were increased, but alanine, serine, and glutamic acid significantly decreased in response to the fungal elicitor, suggesting that the amino acid pathway may be shifted toward biosynthesis of aromatic amino acids and precursors of the phenylpropanoid pathway. These results provided evidence that up-regulation of genes involved in the phenylpropanoid pathway in response to the fungal elicitor resulted in enhanced metabolic responses associated with the protection in L. album. This approach can also be applied to improve lignan production. The authors wish to thank the Tarbiat Modares University for the financial support of this work. This work was supported by Tarbiat Modares University (No. 236706), Tehran, Iran.